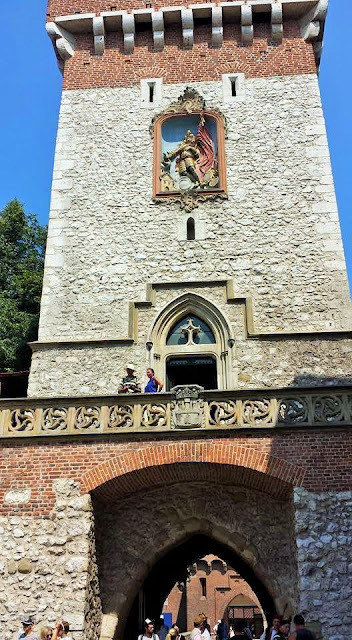 Continuing on in my budget travel guide series, (so far I have done Berlin and Barcelona), it is now my pleasure to write about Krakow. This beautiful city in southern Poland truly surprised me and quickly became one of my top five favourite cities in Europe. 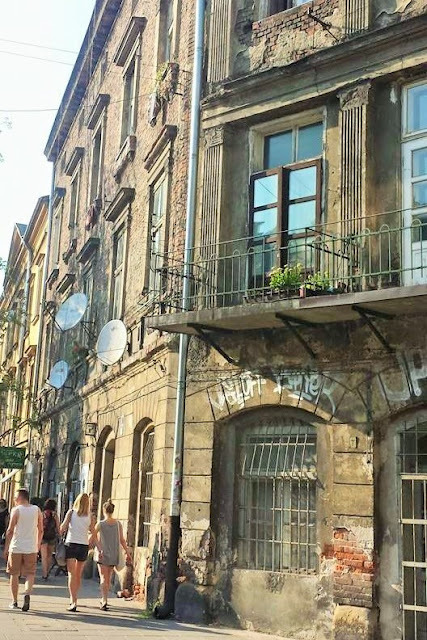 With a very sad history and war-torn past, the city has undergone many changes to become what it has today- which is an absolute gem, brimming with Polish culture, rich history, charming architecture and a thriving cafe, restaurant and bar scene. Krakow remains one of Europe’s best value destinations, making it very popular for budget travellers. Many of the attractions are free and Poland offers travellers good value when considering accommodation, food and transport costs compared to most other European countries. It is such a delight to explore and very easy to enjoy even on the tightest of budgets. Without further ado, here is my ultimate travel guide with top money-saving tips for getting the most out of your visit to Krakow. 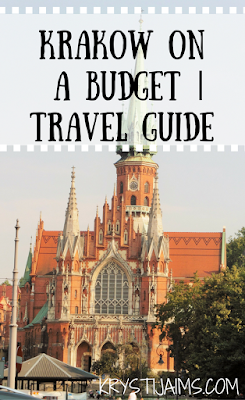 If you fly into Krakow the most affordable way to get from the airport is to take the bus. There are two that run during the day and one during the night that have a good connection between the airport and the train station in the city centre. It takes 30-40 minutes to get to the train station and costs 4 zl / 1 € (it’s 89 zl /€ 22 if you go by taxi). Tip: Try to have exact coins to pay the fare on the bus. Here is the link for the timetables and further info: krakowairport.pl. There is also the option to take the train which is slightly more expensive but more convenient than taking a bus. A one-way ticket costs 8 zl / 2 €, a return ticket- 14 zl and trains typically leave every 30 minutes. More information can be found here: krakow-info.com/train2Krakow-airport. Polski bus is an affordable and reputable Polish bus company with routes throughout the country as well as into neighbouring countries, with services to Berlin, Prague and Bratislava. The earlier you book the cheaper the fares are. I took the Polski bus from Krakow to Prague, via Wroclaw and it was a very comfortable journey. It has free wifi, power outlets, air conditioning and the drivers speak English. I paid around 80 zl /€ 20 which isn’t bad for an 8-hour journey! Here is their website for more details: polskibus.com/en. A second bus line that I used often whilst I lived in Germany was Flix Bus/ Meinfern Bus. It’s an excellent German bus company with connections all over Europe including connections from Krakow to Berlin and Prague and many more. I had arrived from Budapest, Hungary so I used a different but still good and cheap bus line- orangeways.com/en. Krakow is very easy and best to walk around by foot. However, if you want to explore places outside of the old centre like Schindler’s factory then Krakow has a great bike plan. All around the city you can find docking stations where you can pick up your bike and return it at any other docking station around town. You can register and pay with a credit card at any docking station where you can find the information in English. As you can see it’s a very affordable way to get around the city. There are trams but I found them a little confusing as the site is mostly in Polish. Here is the website if you want to check that out: mpk.krakow.pl/en. I took the tram only once and mostly walked everywhere. The Polish girl I was staying with tipped me that the taxis are very cheap so when it sadly came time to leave I took a taxi to get from my accommodation to the bus station as it was very early in the morning- and it only cost a couple of Euros so it was very convenient. The number of hostels in Krakow is growing rapidly and they are a great budget-friendly option to stay in very central locations in the city. Most include breakfast and free wifi. Shared dorm rooms typically start from 36 zl / 9 €. Mosquito Hostel is the number one hostel on Trip Advisor. It is known for its friendly staff, comfortable rooms, great central location and free extras including laundry. Let’s Rock is a party hostel in a very central location. It offers nightly activities before they head out into the city to party. Good Bye Lenin hostel is located in the Jewish Quarter. When you enter their garden it has an immediate backpackers feel to it, with people chatting, eating and preparing a BBQ. Mundo Hostel is a good place to stay if you’re looking for a comfortable place to relax after a day in the city with a warm and welcoming atmosphere. I used AirBnB which I was extremely happy with. 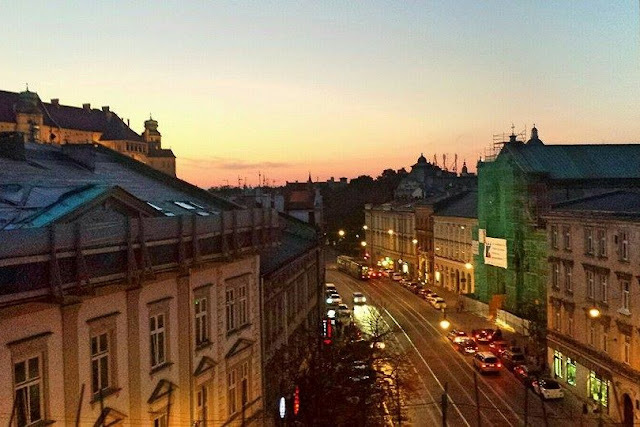 I stayed in a modern loft in the Jewish Quarter, only 10 minutes walk from the Market Square. I chose a place with excellent reviews and a decent price and I had a lovely stay. I used AirBnB a lot for my solo travels as I personally would rather have my own room than staying in a mixed hostel. Of course, there are plenty of reasonably priced hotels, it all depends on your travel style and budget. The main square of the Old Town in Krakow dates back to the 13th Century and at 40,000 square metres it’s known as the largest medieval town square in Europe. It’s surrounded by historic townhouses and churches, in the centre is Cloth Hall- rebuilt in 1555 in Rennaisance style, and rising above the square are the gothic towers of St Mary’s Basilica. 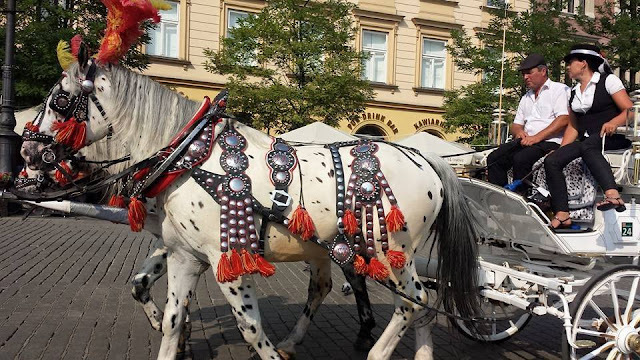 The Market Square is great for people watching, it’s colourful and lively year round where you can find florist stalls, gift shops, restaurants, beer gardens, (even a Hard Rock Cafe) and horse-drawn carriages. I was surprised to find that even though it is full of tourists the restaurants are still reasonably priced and I enjoyed a frozen margarita and a plate of pierogis with a fabulous view of St Mary’s. Standing in the Market Square with St Mary’s in the background. 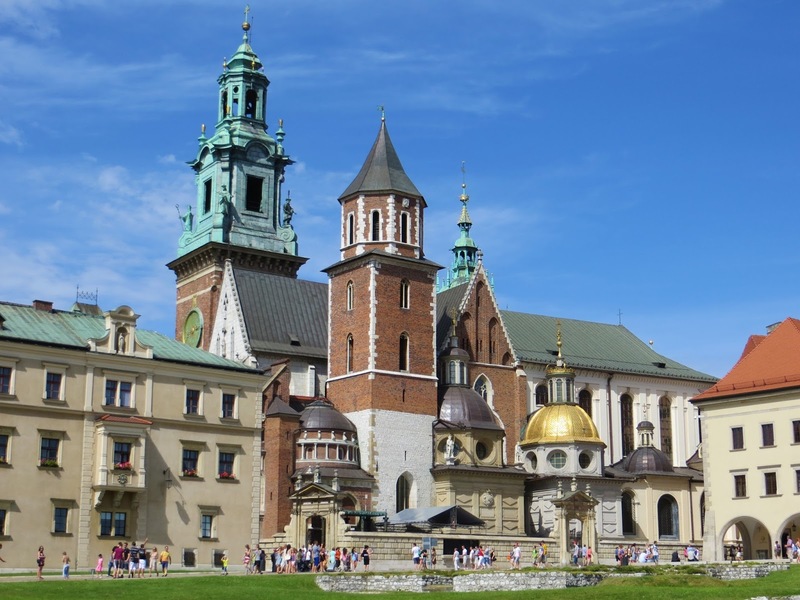 Krakow offers free entry to popular attractions on certain days. Wawel Castle is free on Mondays (April to October) or free on Sundays (Nov to March). This is a royal castle built for The Great King Casimir the 3rd who reigned from 1333-1370. As the political and cultural heart of Poland in the 16th century, Wawel Castle is a potent symbol of national identity. It’s now a museum containing five different sections including Crown Treasury and Armoury, State Rooms, Exhibits and Royal Private Apartments. 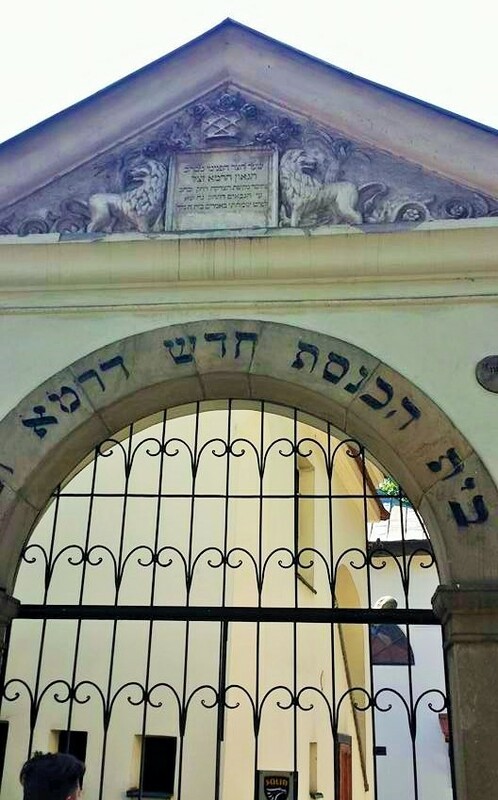 Up until the mid 16th century, there was no other place in the Jewish world more significant than Kazimierz. Even today Jews from all over the world travel here to find roots of their spirituality. By the end of the 1930s the Jewish community of Krakow was 25% of the cities population, but it was almost totally destroyed during the Second World War. After years of communism, where culture was suppressed and silenced, it was here where a cultural outburst took place. Today Kazimierz has new life and you can stroll through the Jewish Quarter, see the ghetto, significant symbols, memorials and discover the rich history, culture and traditions of Polish Jews. Below the Cloth Hall in Medieval Market Square lies the Rynek Underground Museum, which has free entry on Tuesdays (except for the first Tuesday of the month). 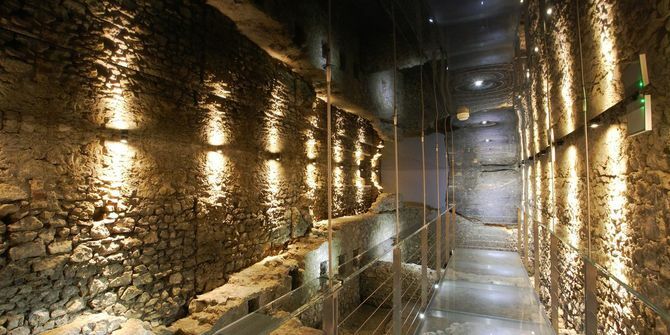 This fascinating attraction is an underground route through medieval market stalls and other long-forgotten chambers. The ‘Middle Ages meets 21st-century’ experience is enhanced by holograms and audiovisual wizardry. 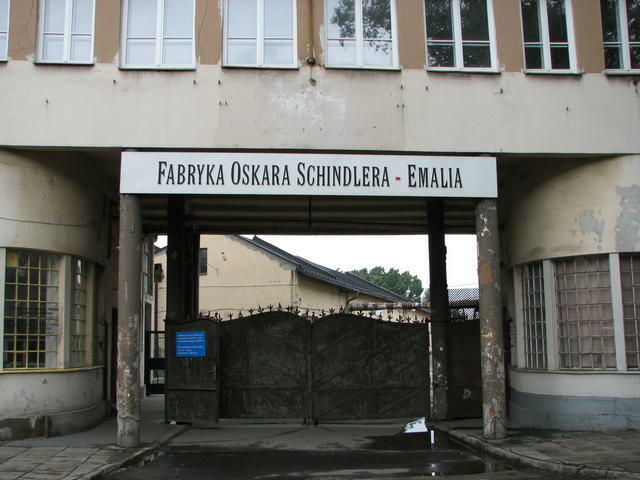 Oskar Schindler’s Factory has been turned into a modern historical museum of World War Two. Entry is free on Mondays (except the first Monday of the month). The museum is devoted to the wartime experiences in Krakow under the five-year Nazi occupation during WW2. The exhibitions combine period artefacts, photos and documents with multimedia and set-piece arrangements in an attempt to create a full-immersion experience. The architecture of Krakow is simply stunning. Going for walks are made even more enjoyable as in every direction is a feast for your eyes full of beautiful and historical buildings. Freewalkingtours.com offer many excellent tours in Krakow including free and paid upfront. The free tours include: Old Town Krakow, Jewish Krakow, Macabre Krakow and Street Art. I did the first two tours as well as a paid Foods of Krakow tour which I will go into more detail in my food and drink section further below. Walking tours are a great way to get introduced to a new city as well as learning a lot about the history and all the highlights it has to offer. The guides are always super friendly and helpful if you have any questions. You are expected to give a small tip at the end for what you think their time was worth but it’s whatever you can manage, which makes the usually 2.5-hour tours still extremely cheap and well worth it for what you get out of it. I didn’t enter St Mary’s myself (just admired it from the outside), but if you wish to go in one of Europe’s top sacred churches it costs only 10 zl / 2,2 € or 15 zl to go up the tower as well. The striking gothic brick church was first built in the 1220s and rebuilt again after the Tartar raids destroyed it in the 1300s. The stained glass windows are known to be magnificent and the highlight of the interior is the 15th-century wooden altarpiece carved by the master carver Wit Stwosz, which incorporates more than 200 carved and painted figures. Tip: If you are near St Mary’s near a new hour, on the left-hand side of the building around the corner look up. Once every hour on the hour the lone trumpeter in the high tower stands at the window and plays a song on his bugle. I’m sure the majority of tourists who come to Krakow will want to visit Auschwitz at least once in their lives- the largest of the Nazi concentration and death camps. The now UNESCO World Heritage Site is the site of the gravest mass murder in the history of humanity, which now remains as a memorial. It’s a very haunting but important reminder for us all. You can now only visit Auschwitz by a group tour and it’s important to pre-book. 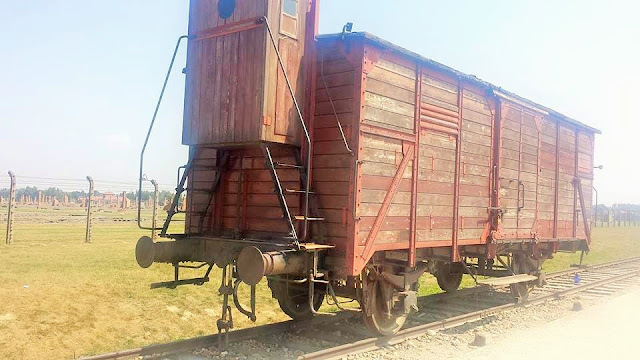 Every hostel or tour agency offers tours to Auschwitz and Birkenau, or you can easily book online. I did the Escape2Poland Auschwitz & Birkenau full day tour and I would recommend it. I researched on Trip Advisor what the best-reviewed tours were as well as for the best price. We were taken in a small group in a comfortable van and there was plenty of time in both places to walk through and get the feel, and the guide was very well-spoken and knowledgeable. It cost 25 Euros including a pickup and drop off near my accommodation. It is one hour drive away and as a tip I would recommend bringing food and drink with you as there are very limited options. 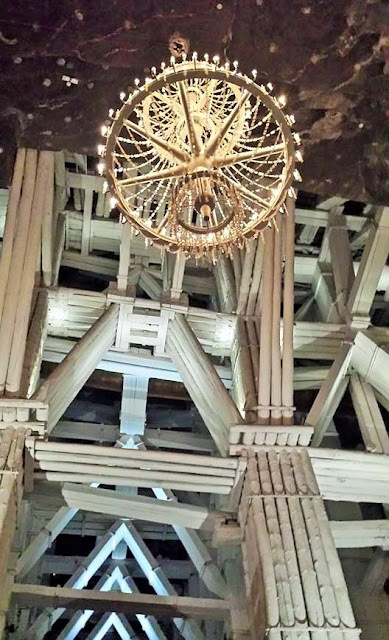 The Salt Mines is one of the largest attractions in Poland. It’s a UNESCO World Heritage Site and located in the town of Wieliczka, which lies within the Krakow metropolitan area. It’s visited by over one million visitors every year including the likes of JRR Tolkien, the royal family and Benedict Cumberbatch (as I happily found out on the guided tour!). 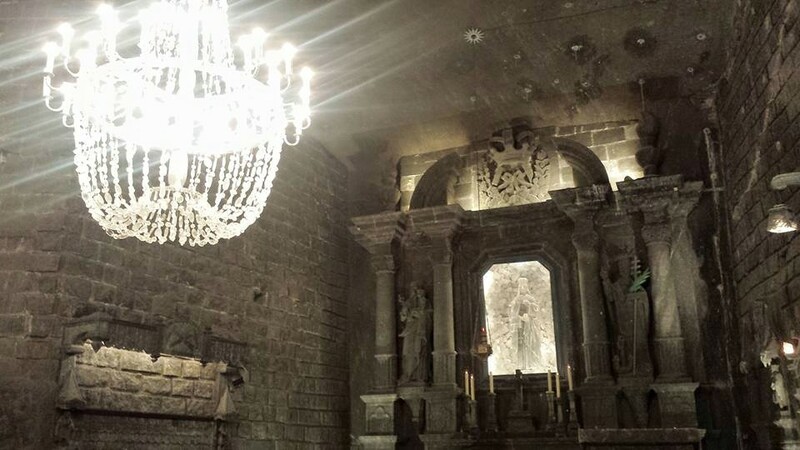 It’s famous for its deep salt mine which is an eerie world of pits and chambers, and everything within its depths has been carved by hand from salt blocks. The mine has a labyrinth of tunnels, about 300 km over nine levels, the deepest being 327 metres underground. A section of the mine- 22 chambers connected by galleries, from 64m to 135m below ground is open to the public by a guided tour and it’s an incredible and highly fascinating trip. Visitors are guided in groups and the tour takes two and a half hours. You walk about 2 km through the mine, so wear comfortable shoes. Entry costs 84 zl / 19 € for an adult. Here is their wedsite for more information: wieliczka-saltmine.com. I decided I wanted to go last minute- the night before, so I booked a private tour with krakowdirect.com as it is half an hour’s drive away, so I though a tour including pick up and drop off was a lot more convenient. I paid 130 zl / 29 € for the 3.5-hour tour and I was more than happy with that, their service was great and I would highly recommend the company. Tip: If you wish to visit both Auschwitz and the Salt Mines there are plenty of companies that offer both over two days at a discounted rate. When you walk around Krakow you’ll see plenty of golf carts racing around with typical tourists in them. 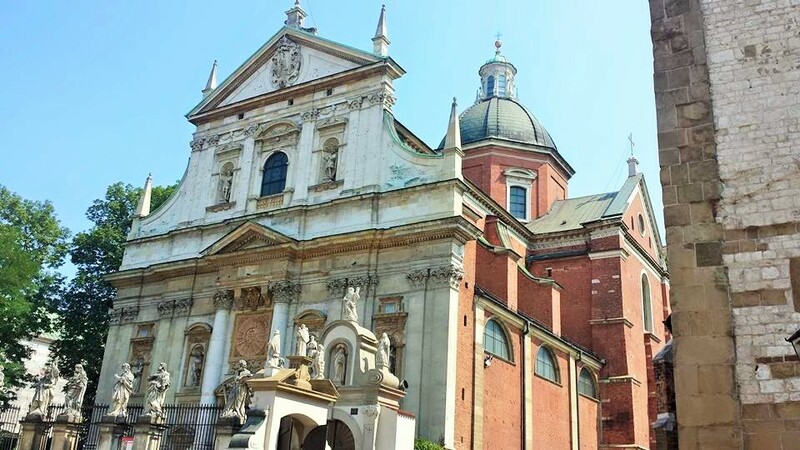 But Krakow is small enough to explore by foot and it gives you the opportunities to find those magical alleyways and small cafes in the inner courtyards of the buildings. So save yourself the money and experience more of the city. Do the free walking tours instead if you wish to be shown around otherwise do it yourself and save the money! On to one of my favourite topics! The food and drink in Krakow is fantastic and so inexpensive. Starting with the drinks: the tap water is clean and safe to drink so take a refillable bottle with you when out and about. Krakow has one of the highest concentrations of drinking establishments, both per square kilometre and per capita in the world. It also has the cheapest beer in the world (hooray!) at around 5 zl /€1 a glass depending where you are. You can also buy single bottles of beer from bottle stores situated all throughout the city for half that amount! 1. 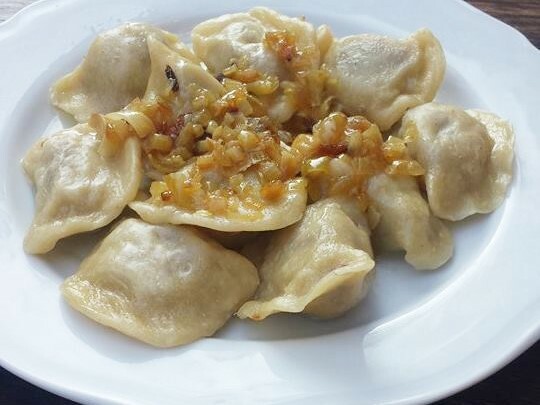 Pierogies: Polish dumplings that can be stuffed with a variety of ingredients (meat, onions, cabbage, mushrooms, spinach etc.) and they are amazing! Buy a whole platter of them for a couple of Euros! I’m pretty sure I ate this for dinner every single night. 2. 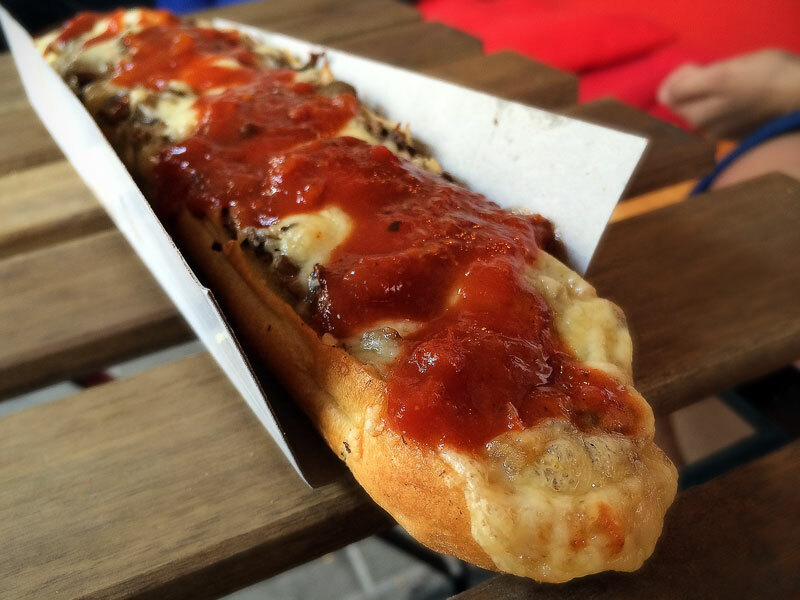 Zapiekanka: basically a Polish pizza- it’s an open-faced baguette usually topped with sauteed mushrooms, grilled cheese and tomato sauce. You can pick them up for 8 zl / €2 so it’s a cheap and quick option for lunch on the go! 3. Polish bakeries: I can’t just pick one thing from the bakery because everything in there is delicious! Breads, sandwiches, sweets- the bakeries offer a great variety of well-priced goods. On every corner you can also find bagel stands (Obwarzanek) where you can buy a super cheap bagel for 1,50 zl / € 0,34. 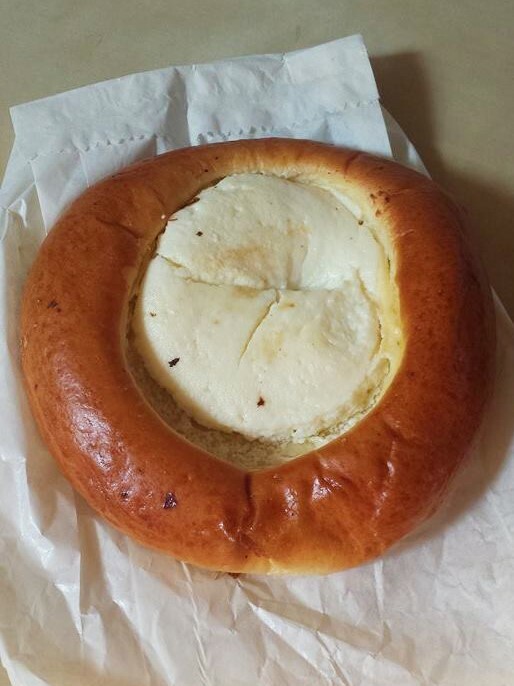 Okay, there is one thing in particular I have to mention from a bakery- I don’t know the name of it but it tasted like a cheesecake bun! I would go back to Krakow just to have one more of those! I did a Foods of Krakow tour and I absolutely loved it. It’s one of the paid tours the free walking tour company I mentioned above offers- but you only pay for what you eat. We got to soak up the history of Polish food and eating habits and try about twelve different things! I was so full afterwards! From herring and vodka shots to soups, pickles, pierogis and ice cream. Afterwards the tour guide invited us all to join him for a beer at a popular and very cheap beer garden where we got full litres for €1, it was truly amazing. Cheap vodka bars are located all around The Old Town and the Jewish Quarter. The most popular ones are those at SZCZEPANSKI SQUARE. They serve vodka & herring, vodka & pickled cucumber etc. Everything is one euro or 4 zloty. Some names I can recommend are: PIJALNIA WODKI I PIWA (Tomasza Street, Szewska Street, Plac Nowy @ Jewish Quarter), BANIALUKA (Szczepanski Square), PRZEKASKI (Slawkowska street), SLEDZ (Stolarska street), SLEDZ U FRYZJERA (Stolarska street), WODKA (Mikolajska Street). CK BROWAR, @Teatr Bagatela tram stop /Karmelicka&Krupnicza street crossing) the place has its own brewery, they serve beer in the huge pipes (like 1m long). ALCHEMIA BAR, Estery 5 @ Jewish Square for live concerts, drinks and light food. Cool and cozy atmosphere: international but also very Krakow in spirit. 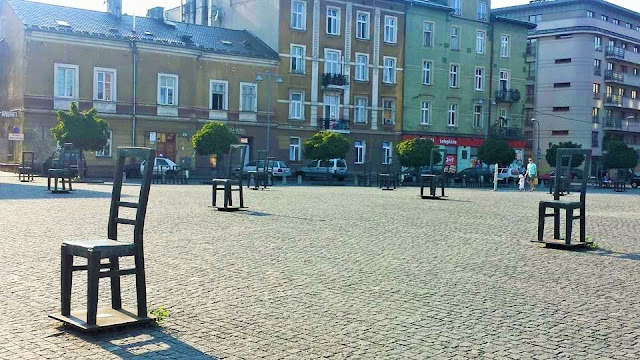 PLAC NOWY @ Jewish Square for snack during drinking (popular long-tostie “zapiekanka” at ENDZIOR). FORUM near Rondo Grunwaldzkie (big building by the river with big LATO neon) nice outdoor place, good music, very nice pizza, good/cheap drink. However, it’s very hipster, so you need to like that sort of specific vibe to enjoy it. ZAPIECEK, Sławkowska street for pierogi/dumplings, barszcz (beetroot soup) and zurek (sour soup) – traditional polish dishes. MOA BURGER, Mikolajska Street great, huge burgers (I highly recommend the lamb one, it’s beyond nice). MARCHEWKA Z GROSZKIEM, Mostowa street. Very good and v e r y cheap food. A lot of traditional Polish dishes. 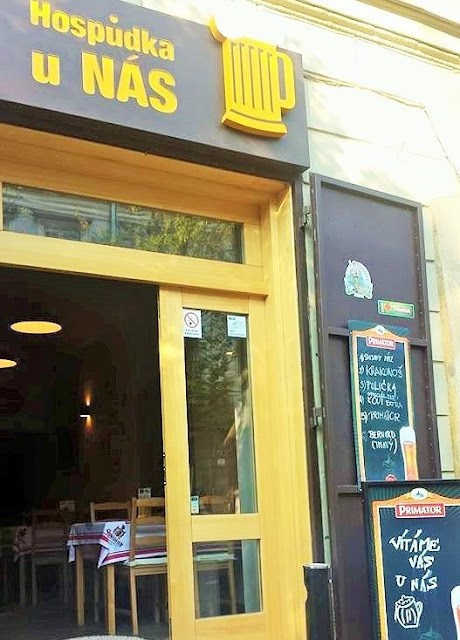 This is a must go to place in Krakow if you want to have a taste of real polish cuisine and not spend all of your money. U BABCI MALINY, Szpitalna street. Very nice and equally cheap polish food. WINE BAR & RESTO, Lipowa 6F (real nice, open until around 23, good to connect with Schindler’s Factory or Mocak tour, it’s all very near by). KLEPARZ FOOD & VEGETABLE MARKET, Rynek Kleparski 14. If you want to eat at home – Kleparz is the best source for fresh seasonal fruits and vegetables, as well as cheese, meat, eggs etc. It’s not only cheap, but also a really interesting place to visit – loud, full of polish culture, polish grannies, polish cheese etc. MASSOLIT, Smolensk, Felicjanek streets. Amazing cheesecake (Smolensk) and a great selection of American books – both vintage and new (Felicjanek). 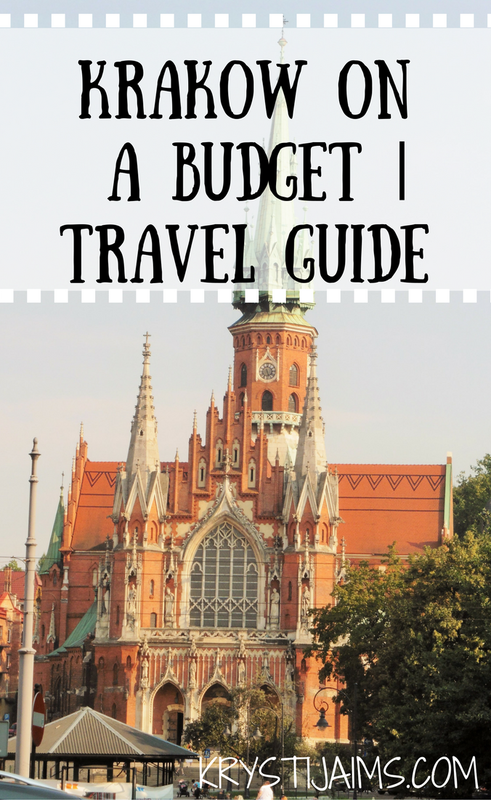 I hope you found this Krakow on a Budget Travel Guide helpful! As I said earlier Krakow is one of my favourite places, the people are so friendly, the city is so old and beautiful and to top it off it’s extremely budget friendly! I really cannot wait for the day when I get to go back again. Leave me a comment if you have any questions or more tips to add of your own- I’d love to read them.